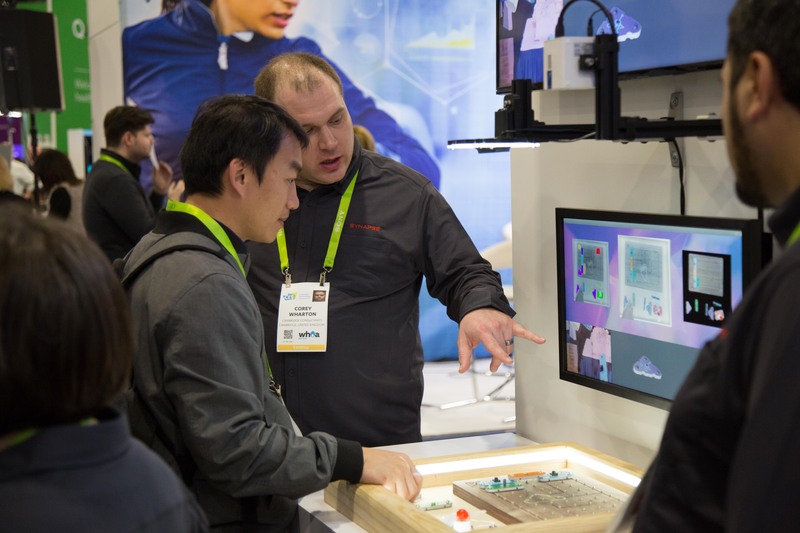 There was a lot of excitement for innovation in augmented reality (AR) at CES this year. With the advent of Windows Mixed Reality, the announcement of the Magic Leap One headset, and the HTC Vive Pro’s front-facing cameras, opportunities abound for developers to create compelling AR applications. In previous years, available augmented reality systems lacked the processing power necessary to drive the artificial intelligence engines required to build the engaging experiences that would drive mass adoption. As a result, the experience generally has been limited to projecting screens and objects into space rather than having full contextual awareness of the scene. Now, however, with further advancements in mobile computing power, combined with aggressive advancements in the fields of machine learning and computer vision, augmented reality developers stand poised to solve long-standing barriers to workplace augmented reality adoption. By integrating artificial intelligence techniques with these more powerful AR platforms, developers will be able to create a new category of enterprise development - namely, the development of fully customized AR applications to train and assist workers as they perform tasks. Cambridge Consultants and Synapse enjoy a unique position among product development consultants. Our breadth of experience and expertise covers every phase of development from ideation, research, and design to engineering and manufacturing. The augmented reality and AI demos we shared at CES serve to demonstrate our ability to integrate AI into any product and engagement. Using our unique neural computer vision training techniques along with our knowledge of deep learning, we can quickly assemble solutions in a wide variety of situations, ranging from manufacturing and industrial maintenance to training and quality control.